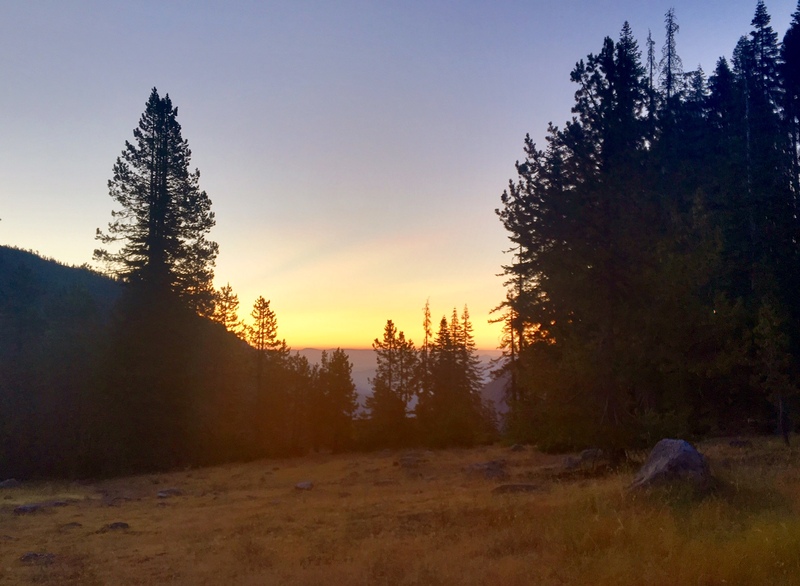 A beautiful sunrise and mild temps for the big descent into Belden, CA. I dropped about 5000′ over 11 miles. 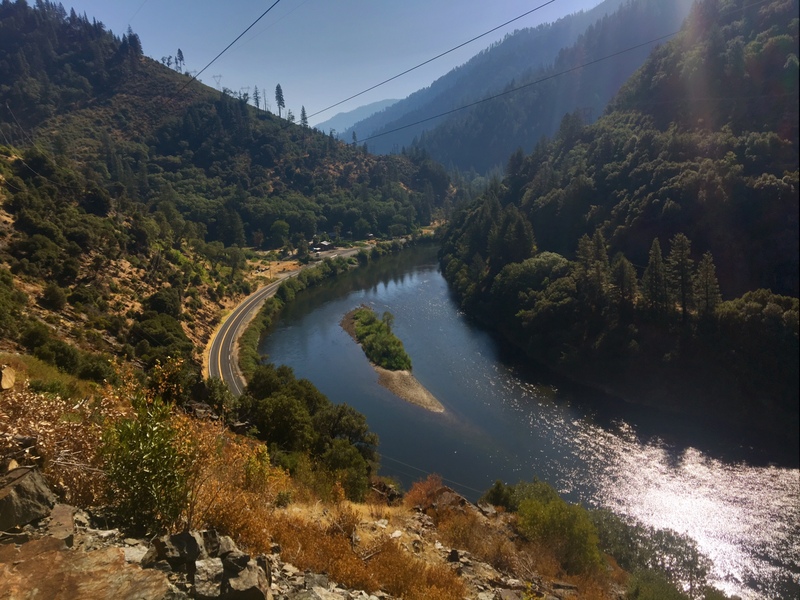 Belden is on the banks of the Feather River. 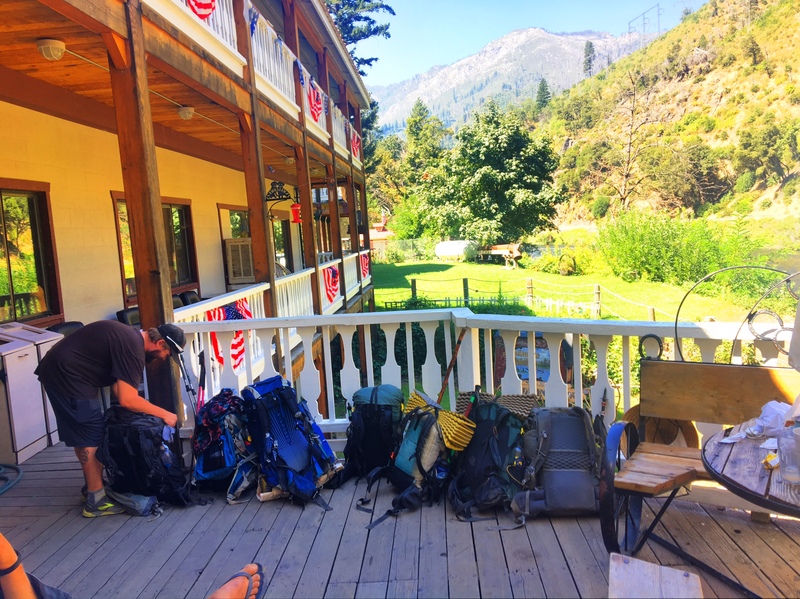 The town consists of one commercial building, a hotel/saloon/cafe/store which is a popular stop with hikers since we walk right by it. I hung out for about two hours and the temps were getting hot. The last couple days were 100+ down here. 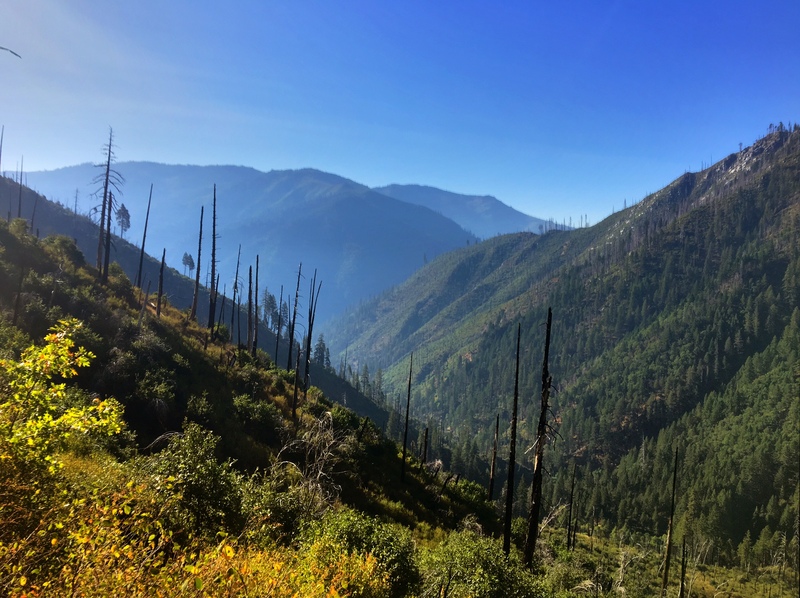 The climb out of town was a tough one (4000′ in 8mi)… mostly because of the heat. There were a couple things working in my favor though: now that I’m hiking southbound the climbs tend to be north facing like this one which can provide some extra shade. 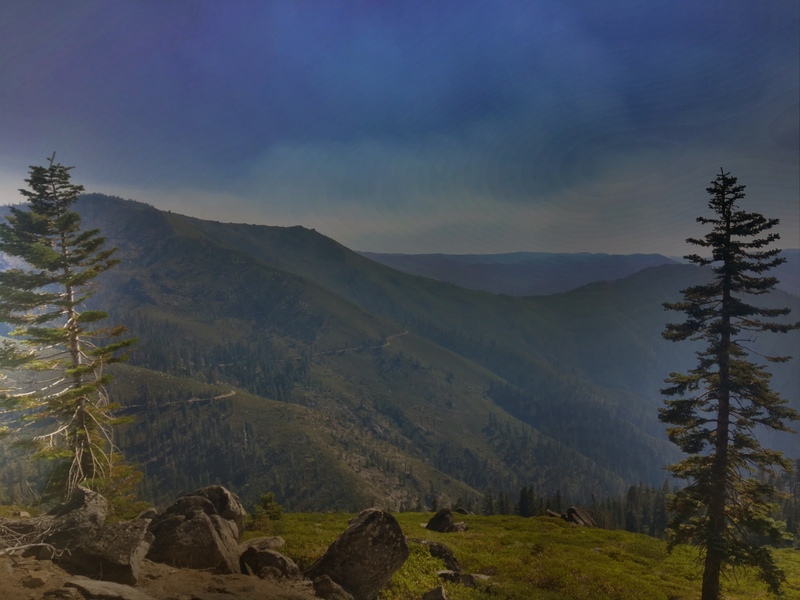 There was decent tree cover on the climb (huge difference) and there was a thick haze easing the sun rays from a fire nearby (but not affecting the PCT). I was also listening to a podcast about the WWI and the horrendous conditions the soldiers had to endure in the trenches…needless to say I wasn’t complaining about my situation. 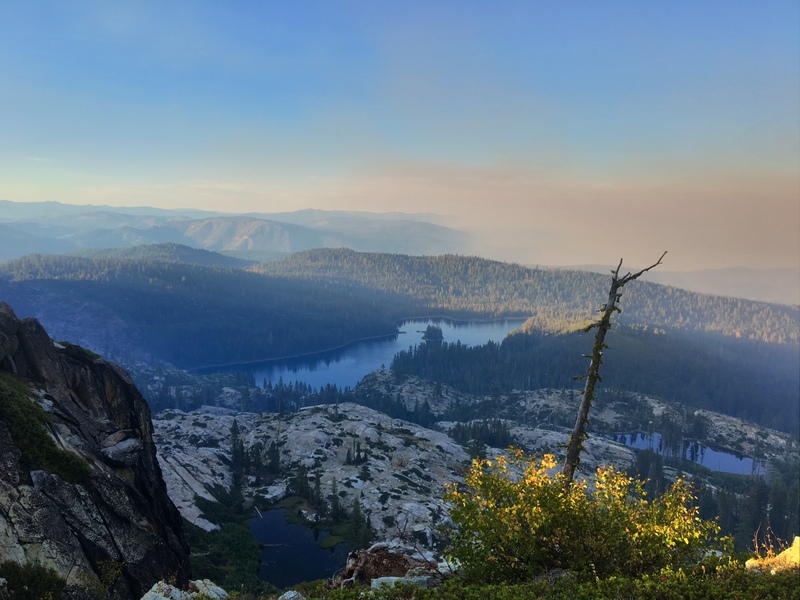 The smoke obscured the views and gave off a perpetual campfire smell. This is the view from my campsite overlooking Silver Lake. The haze just above the horizon is from the smoke. A perfect night and location to cowboy camp. 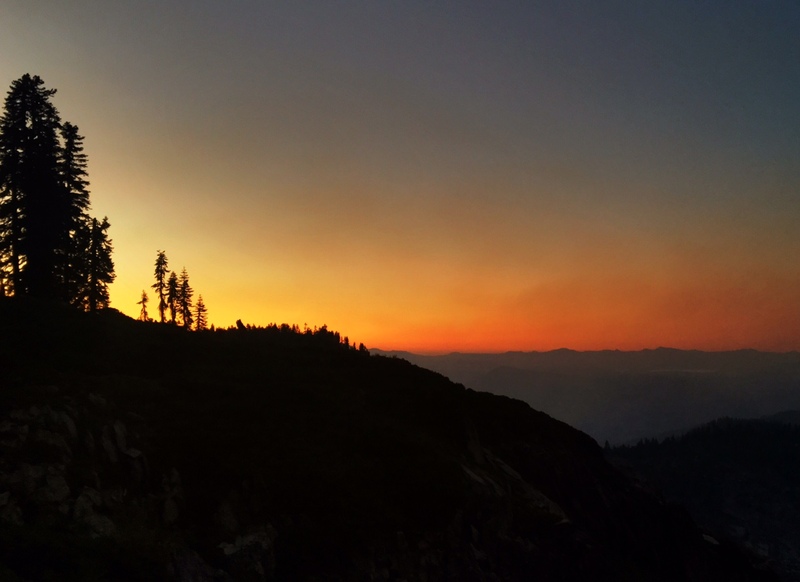 A respectable sunset even with the haze. which might be a first. I did see a scout group breaking camp to do trail work as well as the hikers hanging out in town, but no one actually hiking!